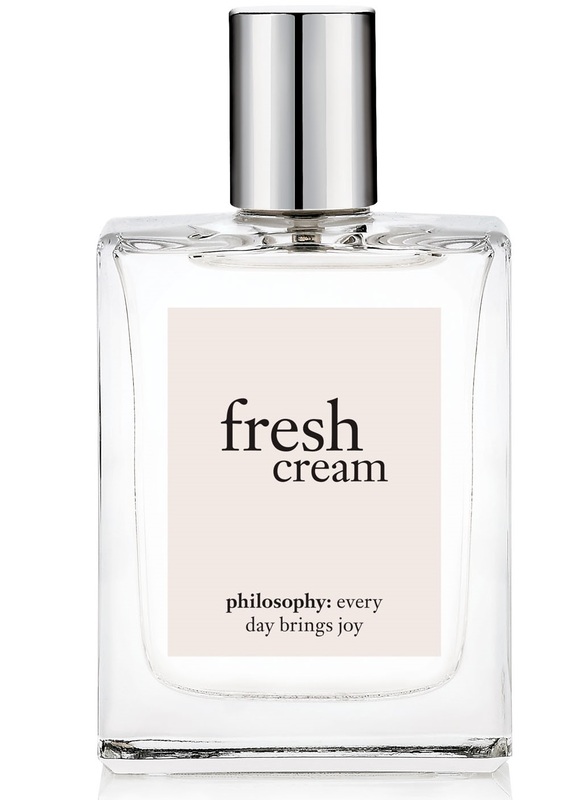 At philosophy, they believe fragrance should make you smell good and feel good. Their fresh cream eau de toilette spray fragrance is no exception to that belief. It is a sweet, delicious fragrance that was created to delight your senses and bring you pure joy. Fresh Cream Spray Fragrance leaves skin with a delicately sweet scent, guaranteed to draw others closer yet never overwhelm, it can be worn alone or layered with other fresh cream products for a head-to-toe fresh cream scent. Or you could even layer it with amazing grace for a new scent. With fresh cream you will love that way you smell, and so will he. This is the unadulterated form of Fresh Cream that is available all year round. For the holidays it also comes out in Fresh Cream Warm Cashmere. I have reviewed amazing grace and how beautiful that scent is. Now it is time to give Fresh Cream a turn. Fresh Cream smells like fresh cream from that has had time to sit and top off a container of butter. It has light milky cream scents and vanilla scents that are its base notes, very light powdery notes at the middle. I also smell vanilla and floral as it top notes. It comes in a 0.5 oz. for $18.00; 2 oz. for $40.00 and the 4 oz. for $52.00. I love this scent because I can put it on anytime and not have to worry about getting a migraine. I like it because it is comfortable to wear. It will make an excellent gift for holiday gifts for moms and sisters. There are many sizes. Also, philosophy has their gift options out and you can get this or the Fresh Cream Warm Cashmere as an option. 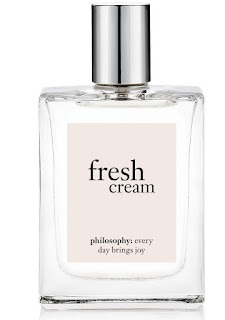 Fresh Cream Eau de Toilette retails for 4 fl.oz./120mL $52.00 and can be found online at www.philosophy.com, www.sephora.com, www.ulta.com, SEPHORA and ULTA Beauty stores. It can also be found where ever philosophy is sold. Like philosophy on Facebook: https://www.facebook.com/philosophy; Follow philosophy on Twitter: @lovephilosophy; Follow philosophy on Pinterest: https://www.pinterest.com/lovephilosophy/; Follow philosophy on Instagram: https://www.instagram.com/lovephilosophy/ and Subscribe to philosophy on YouTube:https://www.youtube.com/philosophy.